Sustainable Jazz performs its original jazz as a duo or trio. 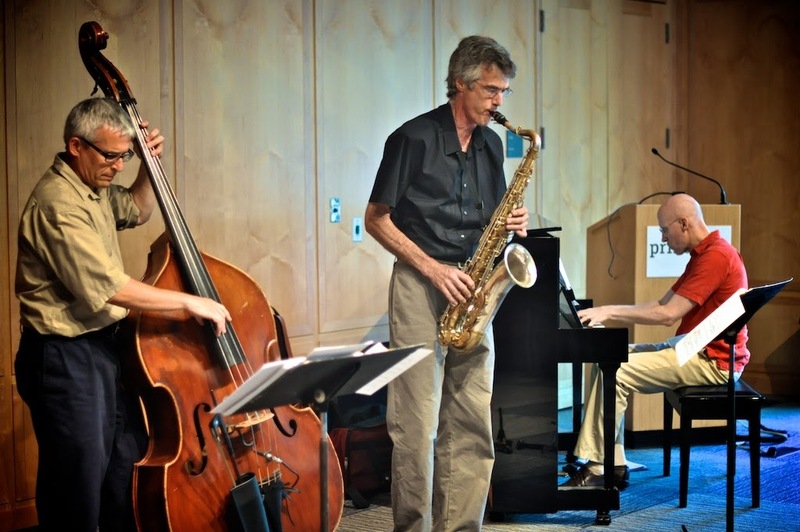 Best known in town for his environmental work, STEVE HILTNER is a longtime jazz saxophonist, clarinetist and composer who in his life-before-Princeton was musical director for an all-originals jazz/latin group in Ann Arbor, called the Lunar Octet. The group played festivals in Michigan and beyond, including three performances at the Montreux Detroit Jazz Festival. Steve got his start in jazz in the II-V-I Orchestra, playing gigs with many of the top players on the Detroit jazz scene, including a pre-Miles Kenny Garrett. During that time, he studied sax improvisation with Sam Sanders, an instructor at Oakland University and former student of Detroit jazz legend, Yusef Lateef. PHIL ORR serves on the music faculties of Rider University’s Westminster College of the Arts and The Lawrenceville School, as well as serving as Minister of Music at Calvary Baptist Church in Hopewell, NJ. His early studies with noted jazz educators John Mehegan and Neil Slater led to work in the mid 1970s as accompanist and sometime arranger for singers Vic Damone and Sandler & Young. 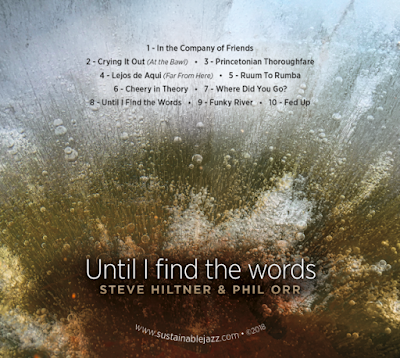 Phil has been privileged to share stages, dim back-rooms and smoke-filled bars with Dave Liebman, Frank Foster, Danny Stiles, Bill Watrous, Melvin Sparks and Art Davis, among many others. Mr. Orr and Rider colleague Jerry Rife co-lead the annual “Cool Yule Jazz” concerts each December at Westminster. JERRY D'ANNA is a versatile freelance bass player, doubling on both electric and acoustic basses. His work with jazz, theater, folk, rock and blues bands has taken him from his native metro New York-Philadelphia environs to tours in Europe and the Caribbean, with such notables as singers Jeanie Bryson, Barbara McNair and Frank D'Rone, trumpeters Michael Mossman and Terence Blanchard, drummer Elvin Jones, saxophonists Sonny Fortune and Pat LaBarbara, and pianists Kenny Barron, Steve Kramer and John Bianculli. Mr. D'Anna received a Bachelor of Arts degree in music from Rutgers University, and studied privately with Rick Laird, Larry Ridley, Homer Mensch, Lou Kosma and Lisle Atkinson. Now settled in the Princeton area, he works in the financial services software industry, performing locally with the Midiri Brothers Orchestra and Jerry Rife's Rhythm Kings.